Jo is a qualified Clinical Hypnotherapist with a diploma in Solution Focused Hypnotherapy (DSFH) and studied at The Clifton Practice, Bristol, one of the countries leading accredited courses. Jo received hypnotherapy herself having suffered with severe anxiety and post natal depression after the birth of her first child. This therapy was life changing and is the reason she trained to become a hypnotherapist. With a background in management and as a parent of two young boys, she understands the stresses and strains of everyday life. 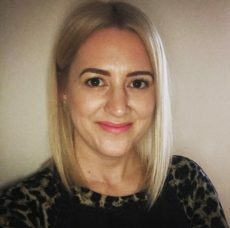 As a Solution Focused Hypnotherapist, she is passionate about helping others to gain positive control, to help them reduce their stress levels, increase sleep and bring positivity back into their lives. Using current research in neuroscience, she will help you to develop an enhanced and continual sense of well-being, control and happiness. Hypnotherapy can help with anxiety, stress, low mood, confidence, social anxiety, fears, phobias, smoking cessation, sleep problems, weight management, anger management, IBS, and many more. Please get in touch with Jo for a FREE initial consultation.